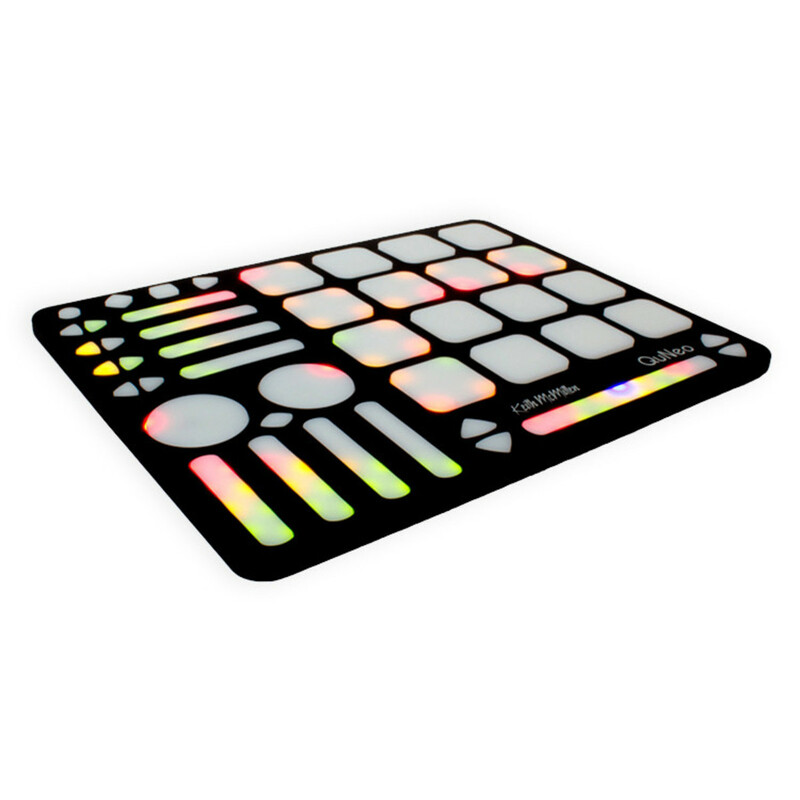 Tactile Pads, Sliders, Rotary Sensors and Switches Each of the 27 pads, sliders and rotary sensors are pressure, velocity, and location sensitive. Even the 17 switches respond to how hard you press. 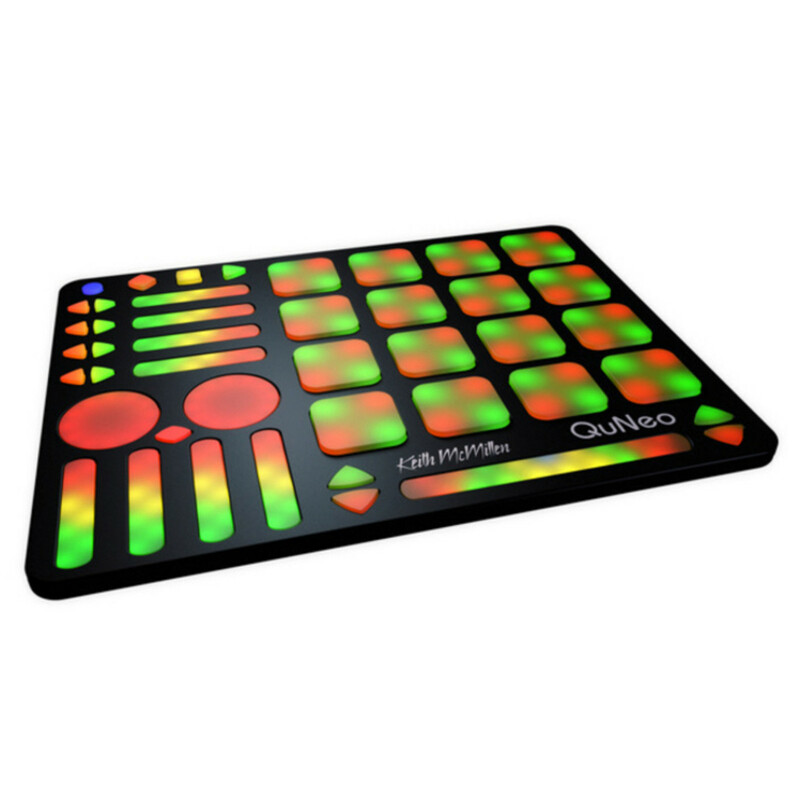 QuNeo works with USB, MIDI or OSC and will communicate with your favorite music software environments right out of the box. 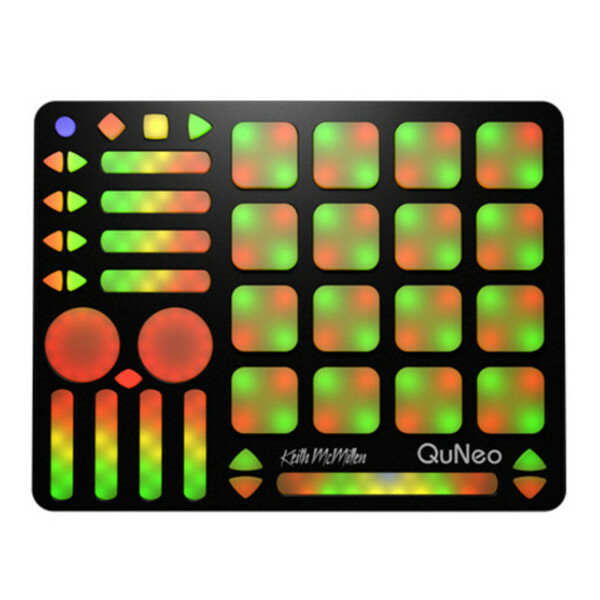 More advanced users and programmers can use the development kit and API to create their own code to respond to QuNeo's sensor data. Hack away to control your world in ways never before possible!